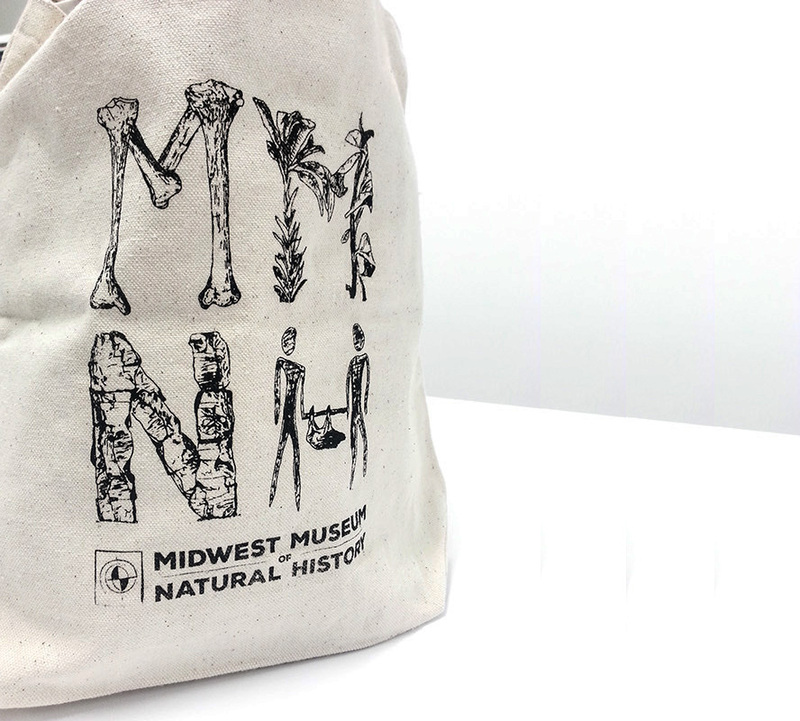 We were put in groups in my Professional Practices class to develop an identity system for a local non-profit the Midwest Museum of Natural History. 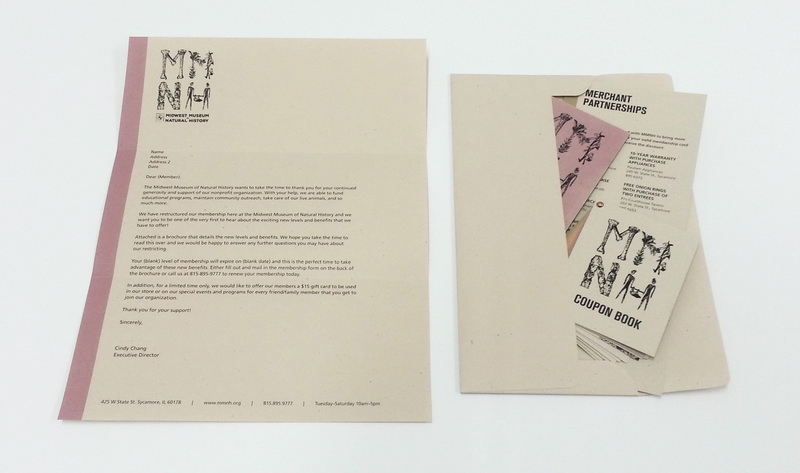 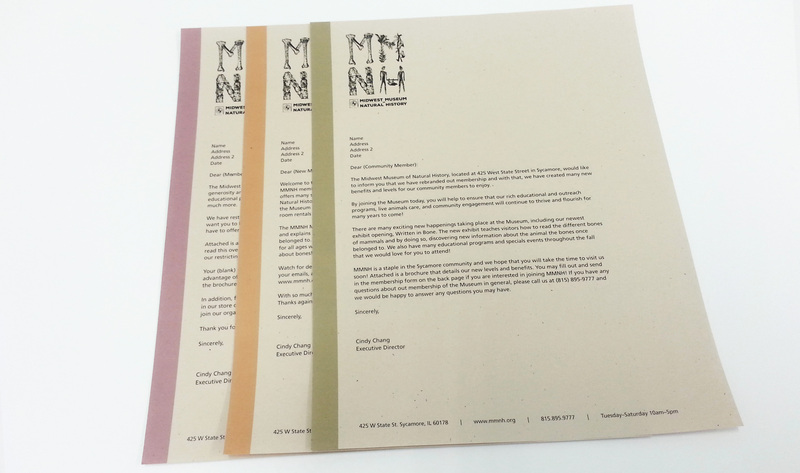 My partner, Donna Wilcox and I created the stationary system, coupon book and new logo for MMNH to celebrate there 10 year anniversary. 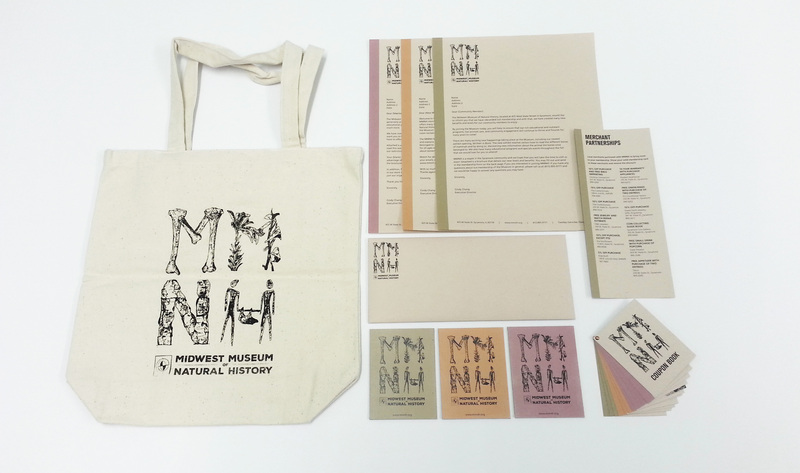 We incorporated a color system and the director of MMNH decided to chose our project to implement in her museum the following year.